In this article, we will find out how to configure Jolokia on a Spring Boot 2 server. We will also configure Jolokia on a different management port and a different base URL. Jolokia is a JMX over HTTP bridge that allows system administrators to access their MBeans and JMX functionalities over HTTP and JSON. Getting started with Jolokia in a Spring boot environment is a 5 minute job (if you know what you are looking for 😉 ). So let us get started! The first step is to make sure that your project has the required dependencies. For this, we will add three dependencies to our POM file. First is the Spring boot actuators dependency. This will cause the actuators autoconfiguration to kick-in and enable management endpoints on the server. The second dependency is the Jolokia core. This adds the required Jolokia libraries. 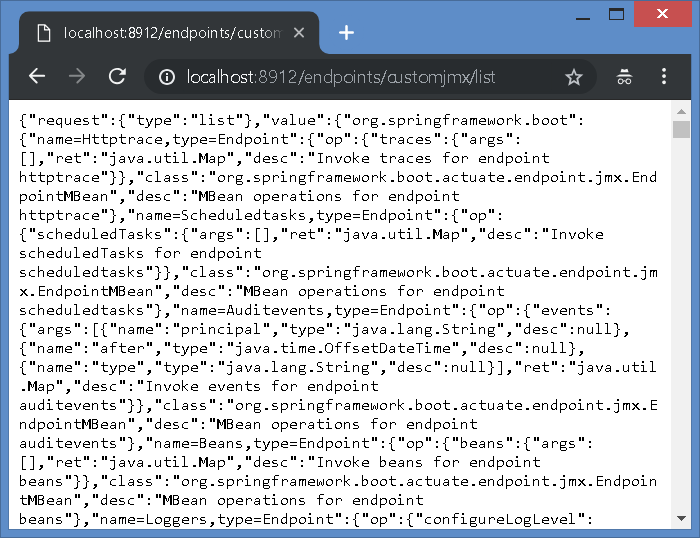 The Spring boot actuator autoconfiguration can then pick up the Jolokia libraries to be added as an additional management endpoint to the server. The third dependency is the starter web dependency. This pulls in all the web autoconfigurations needed to expose the actuators as web management http endpoints. The second step is to tell the Spring boot autoconfiguration to expose Jolokia as an actuator endpoint. This can be done simply by adding Jolokia to the list of exposed endpoints in the application.properties file. If your goal is to expose Jolokia only, then remove the * from the exposure.include property. 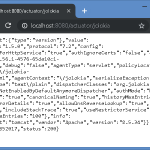 On a vanilla Spring boot server, the Jolokia interface can be accessed on port 8080. For example, http://localhost:8080/actuator/jolokia . If you get a response like the one in the screenshot below, then Jolokia has been started correctly. 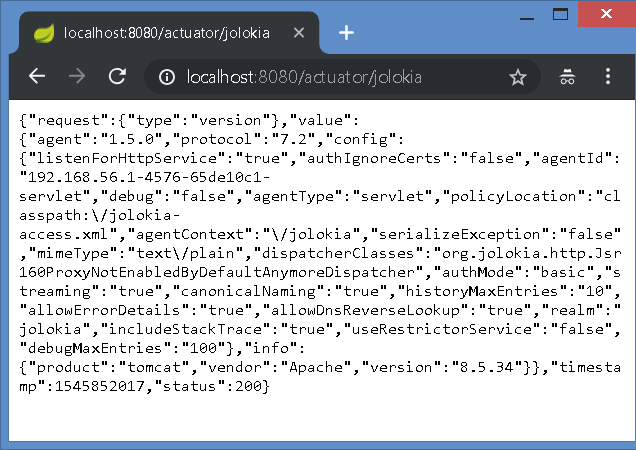 Now, the Jolokia (and any other actuator) endpoint will be accessible on port 8912. The new path to the Jolokia actuator endpoint will be http://localhost:8912/actuator/jolokia .